Macky escapes from the warehouse with Portia, but he is badly injured. Trying to keep Macky conscious on the way home, Portia gets him to focus on the Bible story of Joseph and Pharaoh's Dreams. Later Portia finds she must take the lead in foiling Marcus's plot, while Macky remains on his sickbed and Sophia tells a frightened Felix how Jesus brought Jairus's daughter back to life. Friends and Heroes Episode 31-32 by Friends and Heroes is published by Friends and Heroes and is our 23663rd best seller. 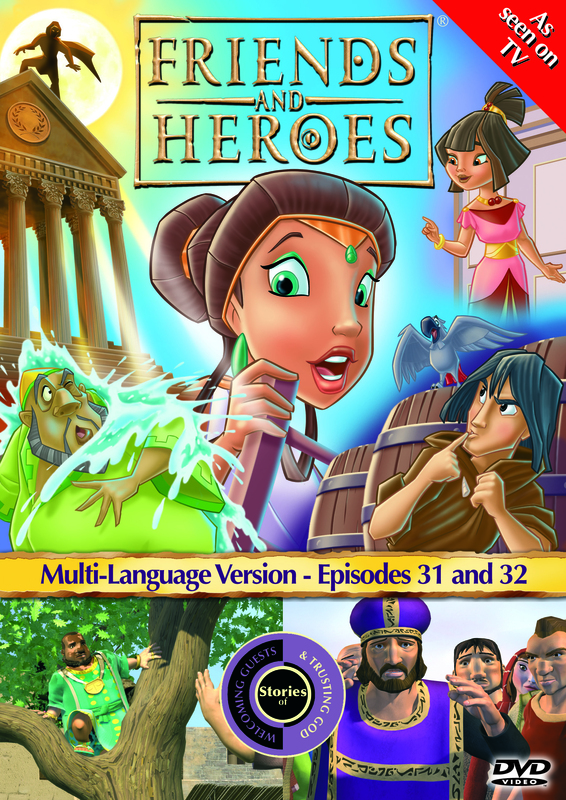 The ISBN for Friends and Heroes Episode 31-32 is 5051347130160. Be the first to review Friends and Heroes Episode 31-32! Got a question? No problem! Just click here to ask us about Friends and Heroes Episode 31-32.